Many people packing for a trip to the trail tend to stuff their packs with as much trail mix and energy bars as humanly possible, hoping to stay stuffed while they’re away from their refrigerators and pantries. I don’t judge. I do the same thing. It’s probably better to have too much food than not enough, especially if you’re not a seasoned pro. However, for those in a bind or those who simply want to add a fun activity to their trip, there are some great snacks that can be found nearby, as long as you’re 100 percent certain of their edibility. 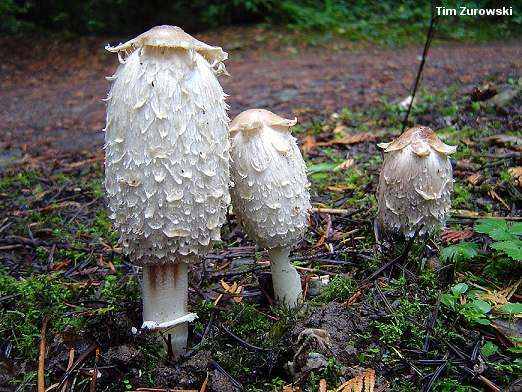 Here are a few natural snacks you can find growing along the trail or around your campsite. 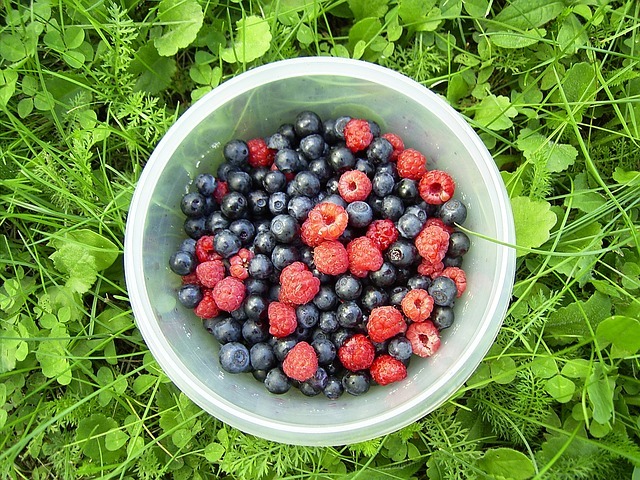 In many regions, edible berries like blueberries, raspberries, blackberries and mulberries grow wild and in abundance. The great thing about these berries is that they’re typically easy to identify. 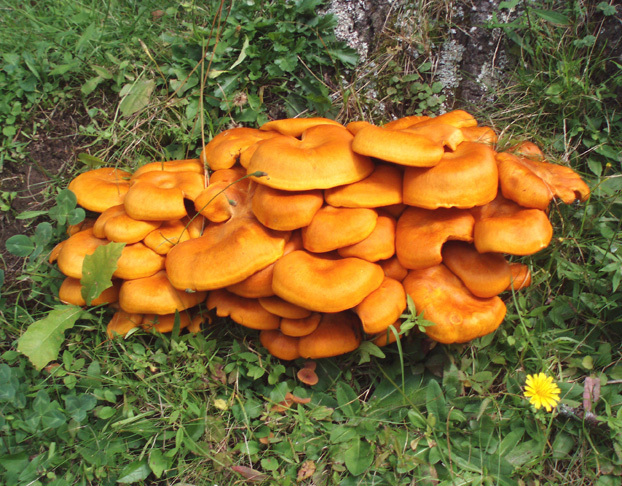 Picking a few makes for a great snack on their own or even a delicious addition to campfire pancakes. Ever see a cone-shaped bunch of red berries growing from a tree? Well this is staghorn sumac, which can be steeped in boiling water to make tea. Start by adding five or six bunches of the red berries to a gallon of water and then boil them until the liquid turns pink. The tea makes more a refreshing drink after a long day and is rich with vitamin C. Just be sure to strain the tea before your drink it, in order to sift out any insects or dirt. 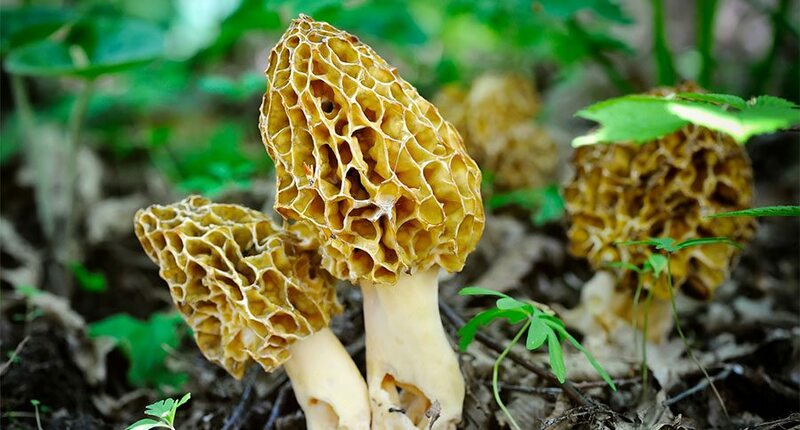 Aside from morels, which are highly-sought and pricey, due to the rich, elegant addition they make to meals, you can also find oyster mushrooms, chanterelles and shaggy mane (inky cap). 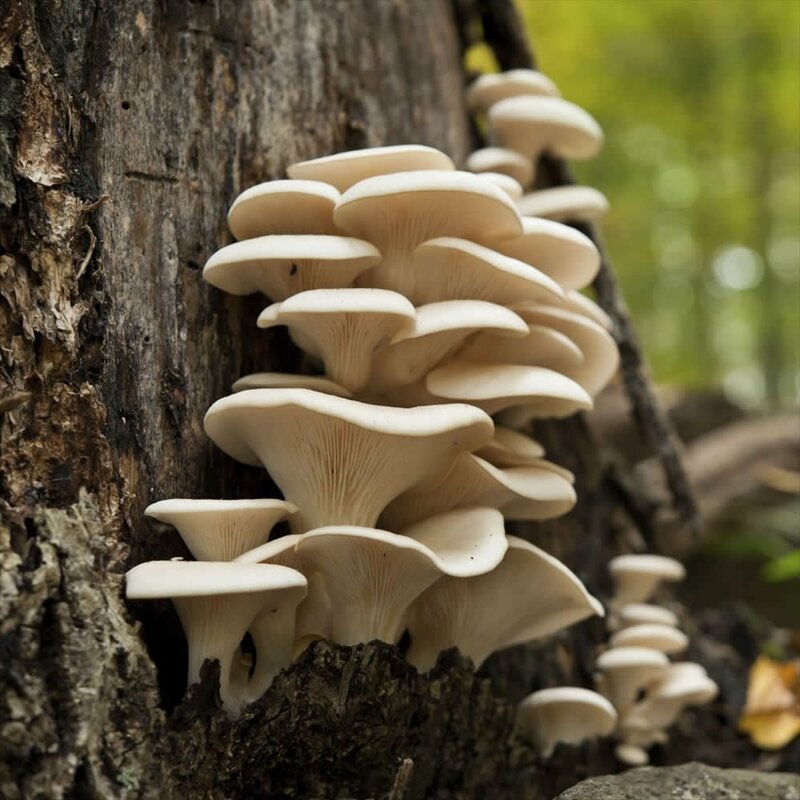 All add a little something to your campfire meal when sliced and sautéed, but you’ll want to be absolutely certain of their identity, as the false versions of many mushrooms can be toxic. If you’re not experienced or don’t have a guidebook, though, it’s best not to risk it. Believe it or not, you can actually find wild asparagus growing throughout the U.S., especially in the northeast. You’ll find that wild asparagus tends to be thinner than you’re used to, but it isn’t any less tasty. Dandelions are also a popular snack, due to the fact that the entire plant is edible and is also considered a medicinal cure-all. During spring, if you can find fiddlehead, which is the young stage of the ostrich fern, these spiraled greens make a delicious side dish when sautéed in oil, garlic, salt and pepper.